The clan was once in charge of it’s own piece of land between Tsuchi no Kuni and Kaze no Kuni. It was amongst the very first clans to create it’s own permanent village during the Warring States Period. Even during the mass combat going on between other clans and the nomadic traveling’s, they decided that it was a pointless endeavor. They knew that other clans would come to them, and decided that having a permanent base would be more useful. This perhaps gave rise to other villages several years later, including the famous convergence of clans that created Konohagakure. During the First Shinobi War, the land was attacked, and consumed by Iwagakure no Sato. Iwagakure Sunagakure, and even Konohagakure wanted the powers of the clan to add to their own for the war. It was unfortunate though, that the clan had lost much of it’s power. Living a civilized, sedentary life style with only the single clan caused a decline in soldiers and the clan would eventually be taken, without a doubt to the elders. Though The Dragons of the East didn’t give up immediately, they were capable of holding off all three armies for some time. It wasn’t an easy battle, the overwhelming power of the three countries and its many clans and soldiers, eventually showed that it would be more pertinent to just give up and join a village, and preserve some of the clan’s ways. Their lives would only be changed slightly, and perhaps be more successful in a larger village. They decided at the next major exchange of combat, they would just give up, and join whoever was the attacker. Iwagakure just happened to be that challenger. They met on the battlefield and the Azure Dragons immediately gave up before combat began. Conditions were settled upon between the general of Iwagakure and the leader of the clan and they officially joined the service of Tsuchi no Kuni that day. Though, many of the soldiers and clans present for the combat didn’t appreciate the lack of challenge and the instant surrendering, seeing the clan as weak. A disposition given that would be labeled onto the clan for future events to come. The Dragons of the East were a well-known clan before and during the First Shinobi War. Stories of the clans power are now known as the stuff of legends, even for shinobi. 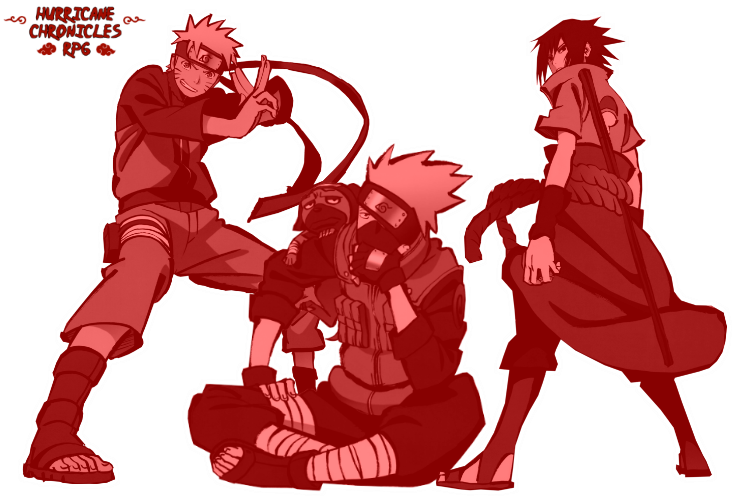 Several jutsu used by other shinobi were created to match similar effects of the clan, but could never become equaled. Their skills have also even been reproduced somewhat by samurai. But because of this, the knowledge about the clan became that of stories, to legends, to myths. Though, the addition of their instantaneous surrender probably added to the idea that their skills were just lies created and told by the clan. During the short time within Iwagakure, they sought an opportunity to try and raise their standings politically. The idea of seeing one from this, un-noble, weak family caused much unrest amongst the Great Clans within the village. It was around this time that the second Tsuchikage, Yara Yosuke took office within the village, and cast out the undesirables from the village. Seen as a stem of anger and hatred amongst clans, the Dragons of the East were cast out. Though, it didn’t take long for this mistake to be noticed. Shortly after, Kumogakure, the Hidden Cloud Village presented itself to the elders of the clan. It took very little convincing. And for the clan, it was a step in the right direction. The Kekkei Genkei for the clan involves two separate yet conjoined effects. For some reason, the DNA of most members of the clan have a mutation within it, causing most born from these members to have difficulty using elemental chakra in any form outside of their bodies. This same abnormality effects all members of the clan, for some reason causing the rare elemental release of Wind being the first element to be mastered. This genetic fault brought about the first part of the clan’s training, physical training. The physical training at an early age stemmed from this difficulty of using chakra, and the need to defend oneself during the Warring Period. Though, with a mastery of fuuinjutsu, the clan discovered how to release elements outside of their bodies. Not every member is skilled in fuuinjutsu, though most members upon reaching the rank of Chuunin will undergo a surgery of sorts. At Chuunin, they will be able to cast wind based jutsu after receiving a fuuinjuutsu seal that encompasses 10% of their body. At Tokubetsu Jounin, another surgery will take place, increasing the size of the tattoo to 15% of their body. With this, the tattoo will glow azure when chakra is being used. This allows another element to be accessed, water. At Jounin, another increase to 20% of their body, and access to another element can be made, of their choice. The clan Kekkei Genkei revolve around two stages. As they first receive their tattoo, they are able to fully master the ability of combining their wind release, to that of their bodies and attacks. This is when they gain access to their clan’s first stage of abilities, referred to as Odori Za Uindo [dance of the wind / wind dance position] Their speed increases, their attacks slice with less effort or their control over their chosen weapon is increased. This adds to their capabilities at hand to hand combat greatly. Upon reaching Tokubetsu Jounin, they gain access to Water Release. If this wasn’t a step up enough, they gain their clan’s most coveted abilities. This is when their Kekkei Genkei really shows itself. Odori Za Enmu [dance of the cloud/fog/mist]. They learn to release fog around themselves, adding to to their abilities in close combat. It was even said that masters of the clan, were capable of changing their bodies to fog itself. Slicing right through their bodies would have no effect. They could even just appear within the fog as if from nowhere. 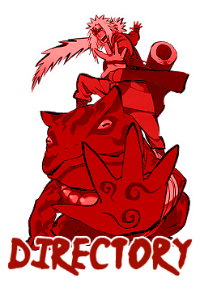 The Azure Dragon clan skill revolves around taijutsu and weapons for the most part. They start training both hand to hand combat and close quarters weapon combat at a very young age. By the time the child has reached the age of 7, they could easily be equal to skill in both styles to that of a shinobi. The combat training is rigorous. Discipline and strength are needed. The training incorporates both mind and body. For body, they undergo training every day. From learning to fight bare handed, to learning to survive for days by themselves in the wilds outside of Kumogakure. They train to hold a position for days, not moving at all, or perhaps living within a designated area, no larger than 9 feet. For each of these trainings, other tests could be added, for instance, they could be required to fight off attackers within their designated area, or take punishment holding the position. Sometimes, tests are also meant to be failed, simple to teach that failure, though unwanted, is sometimes the only possible outcome. Failure is a part of life, not everything is possible, and it is believed teaching this early on can help to broaden the thoughts of the trainees. This training though is just the tip of what they go through. It is the most known, since they continue this training, almost their entire lives. They have a second form of training, that is what gave rise to their legendary feats long ago. Because of the lack of being able to control chakra coming about, the clan found other ways of utilizing their chakra. This gave rise to a segment of the clan becoming very adept in the use of Fuuinjutsu. In fact, the skill with fuuinjutsu from this clan is what allows the use of any form of elemental chakra to be used by most members. The Religious Sub Clan learned how to use fuuinjutsu in such a way on the body to counter the genetic abnormality within members of the clan. It is to such a degree, that even those unable to use elemental chakra at the start, by the end they are more adept at it than other shinobi, not to mention those in the clan that were capable to begin with. With this discovery, came an odd ability. They were able to manipulate the element release within their bodies, causing various effects to occur. Upon further research, and studying of those within the clan, this discovery had given rise to Lightning Release Armour, and Nintaijutsu for those outside of the clan.